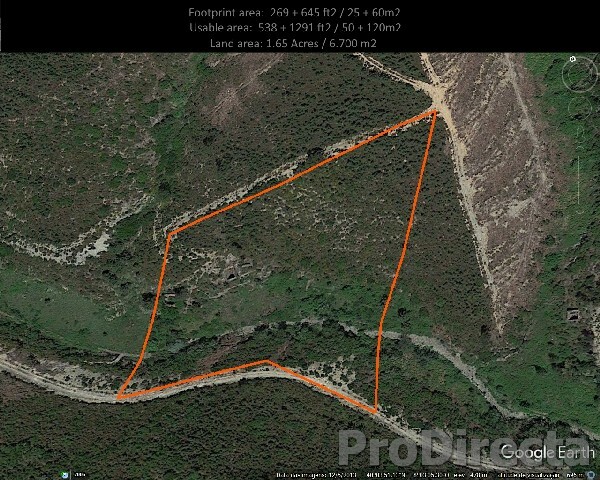 Very secluded land with a good piece of flat for agriculture and plenty of water from a stream. 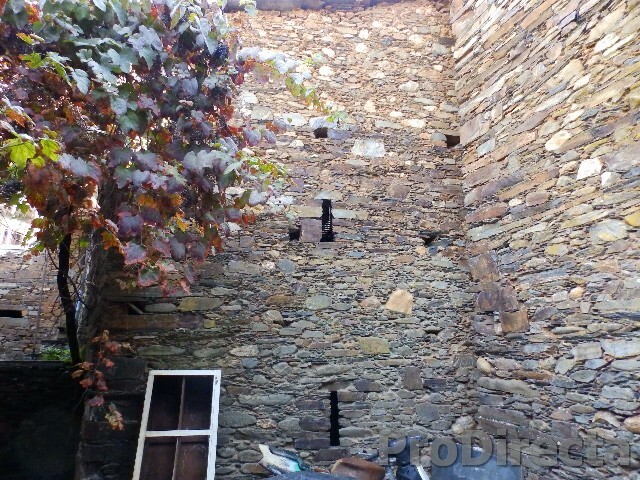 The land is facing south and has two stone buildings for renovation and the access is through a dirt track. 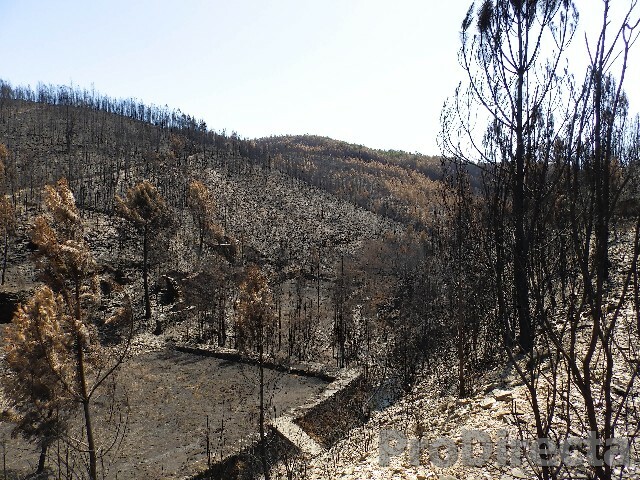 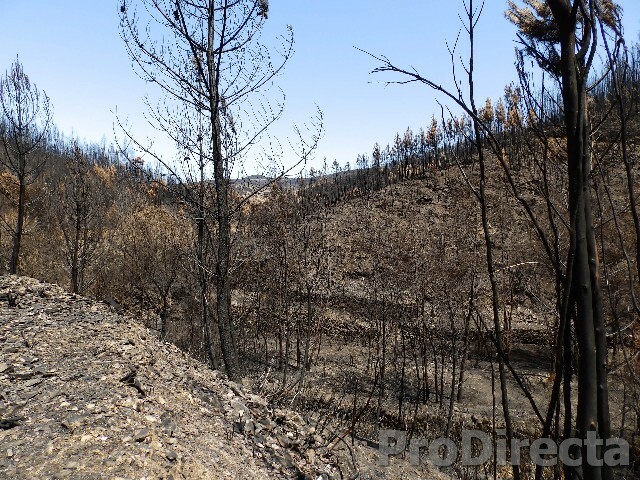 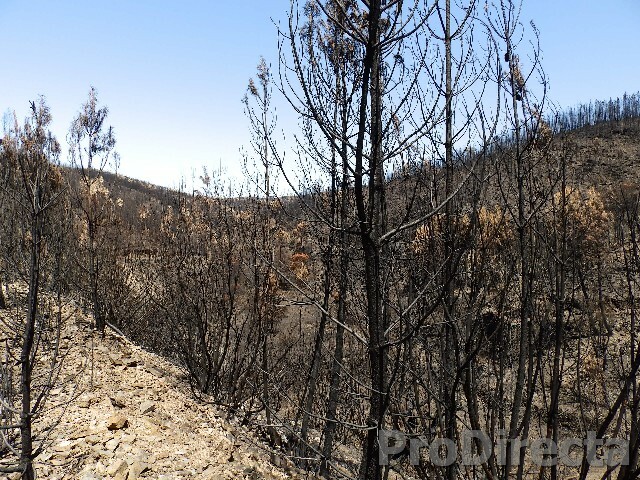 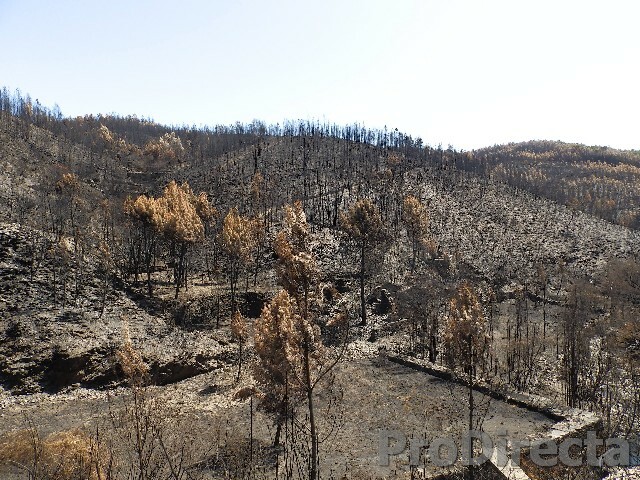 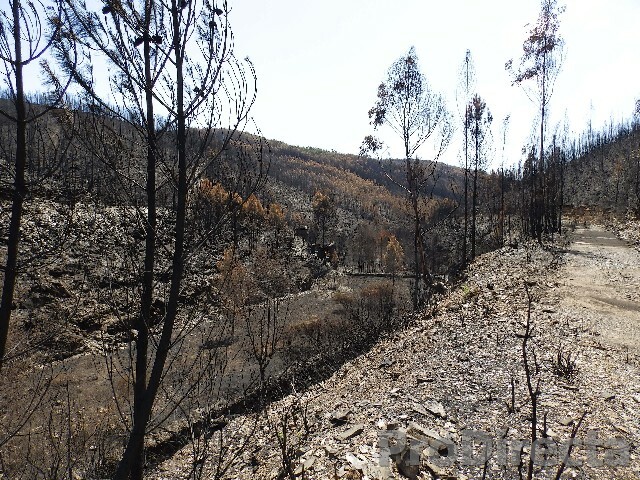 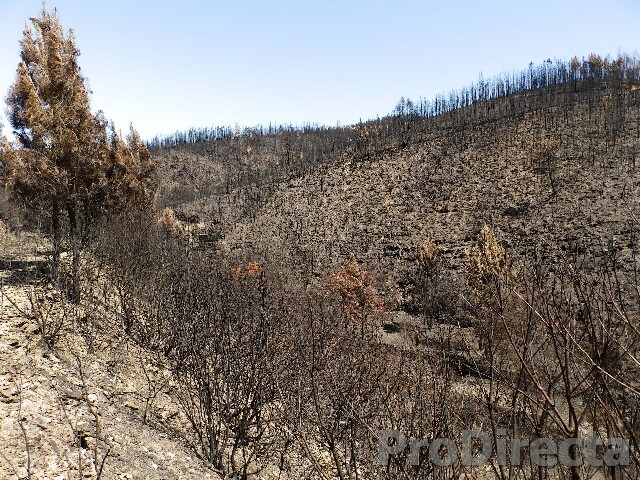 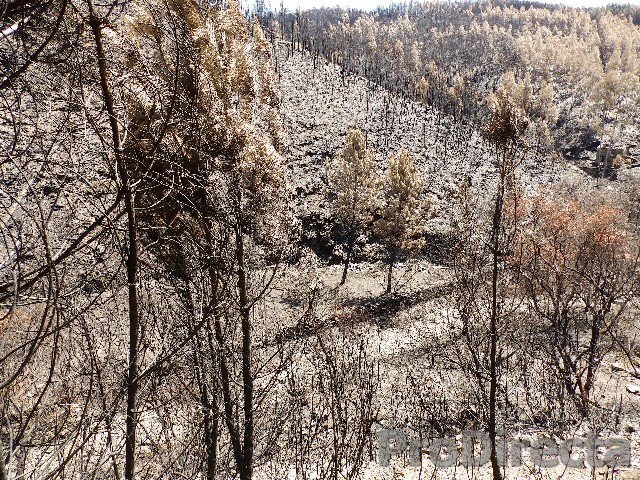 The land does not look very appealing because of the fire but keep in mind that is only temporary, next spring it will be green again and easier to manage without all the usual bush that the land in the region has when overgrown. 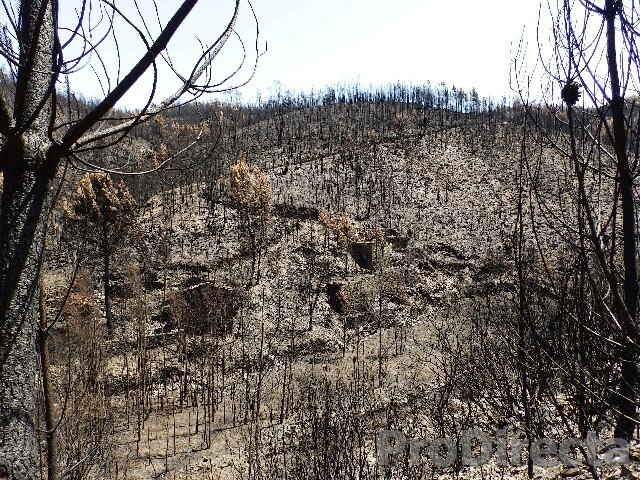 Also is an opportunity to start with the native fruit trees instead of other fast growing or resinous.